The open-concept is a favorite for many designers because it allows for a better flow of traffic along with the ability to be obstruction free and create more usable space. 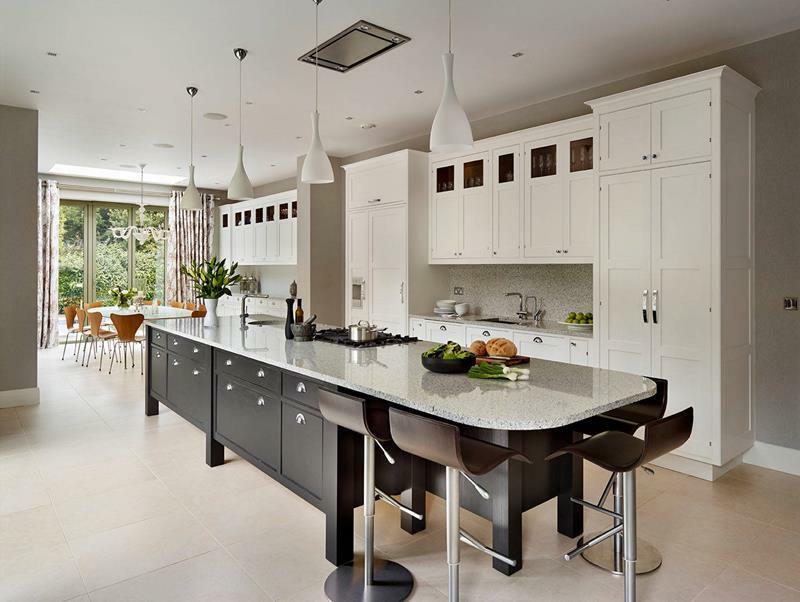 Few rooms in the home have benefitted from this concept more than the kitchen. What comes with open-concept kitchens is a propensity for design on a massive scale. Examples of this include larger appliances and counterspace. In fact, these open-concept kitchens have more counterspace than some restaurants! Other design elements include greater table space along with chairs to put at an island or peninsula. 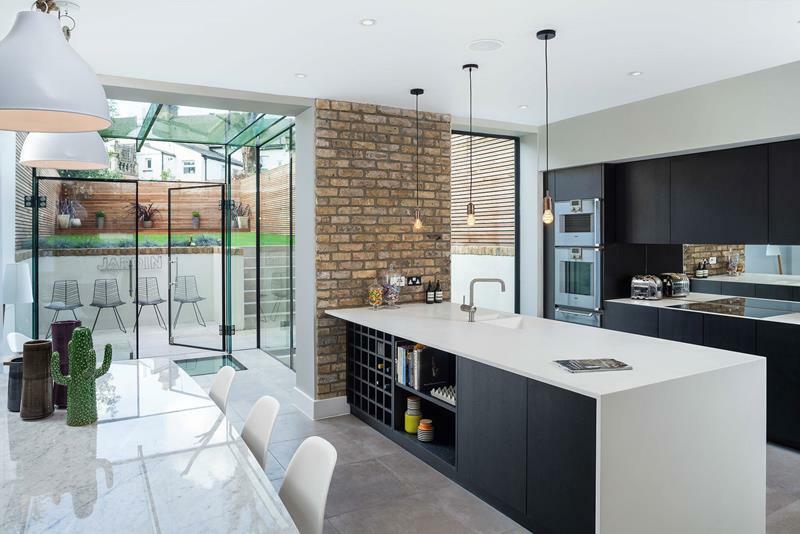 The open-concept is a great way to make the kitchen more functional, and the 20 photos below show how you can add style to the functions. 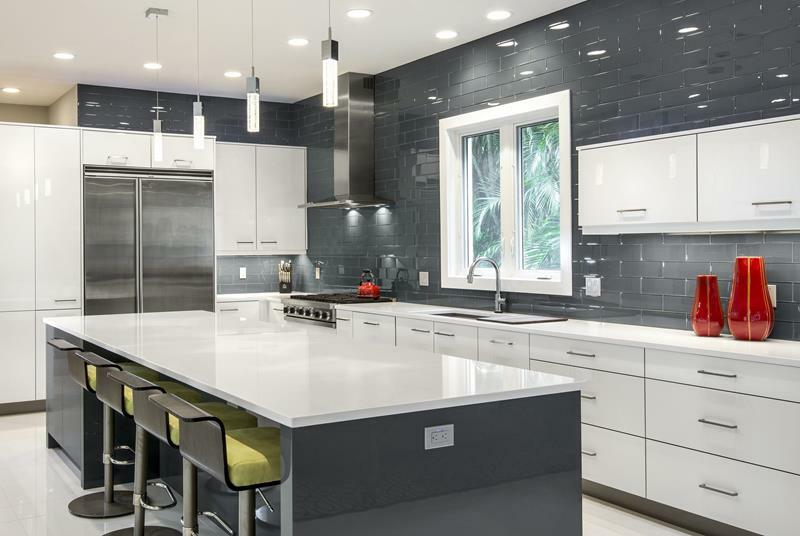 This kitchen sparkles with shimmery backsplash and silver accents. 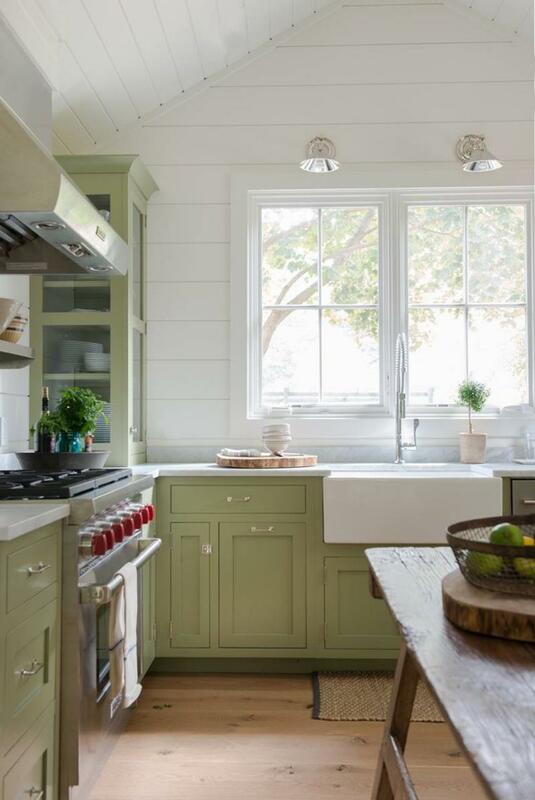 The large island with green stools adds entertaining space. 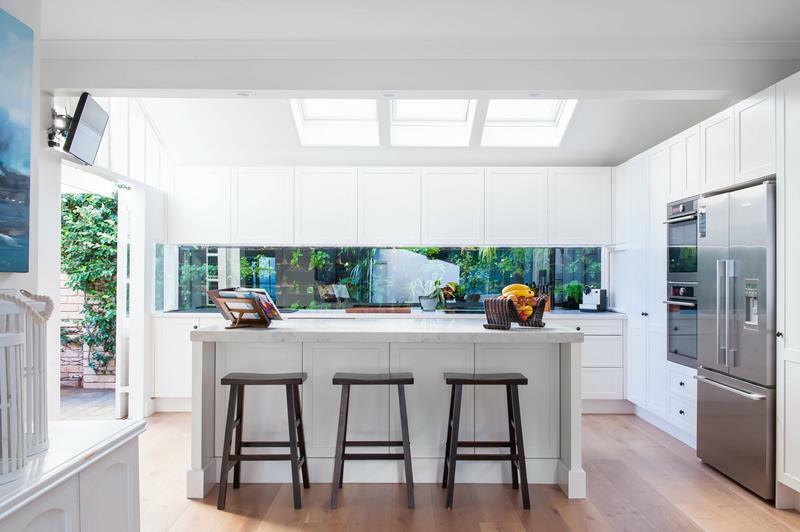 The sage cabinets in this kitchen are highlighted by the large windows. The distressed table and floors make a perfect match. Don’t you just love extra storage in the kitchen? 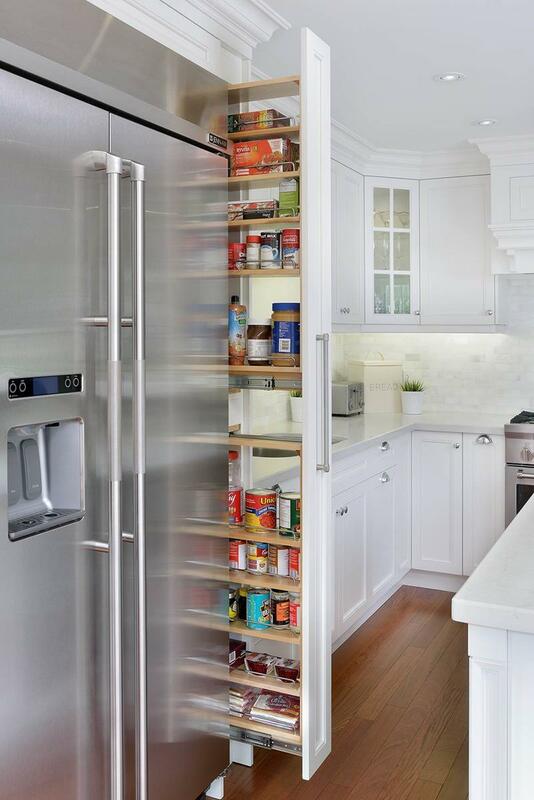 This slide-out pantry keeps things organized and clutter-free. The different elements in this kitchen provide variety. From the stone wall to the marble top and dark wood, it all works together. This kitchen has all the space you’ll need. The large island and extra dining area make entertaining a breeze.